KANSAS CITY, KAN. ---- Sporting Kansas City returns to Sporting Park after a bye weekend in MLS competition for their CONCACAF Champions League group stage match against Real Esteli FC on Tuesday. The match will be broadcast on FOX Soccer Plus and FOX Soccer 2Go with coverage beginning at 7 p.m. CT.
A limited number of tickets remain for the midweek match and can be purchased at Ticketmaster.com or at the Sporting Park Box Office on Tuesday. Due to CONCACAF regulations, no Standing Room Only tickets will be available for purchase. Sporting KC enters Tuesday's match in first place in Group 2 with a 2-0-0 record including a 2-0 win in their CCL opener at Real Esteli on August 7. Sporting KC defender Ike Opara headed home a Benny Feilhaber free kick in the 32nd minute to put the visitors ahead. Forward Dom Dwyer doubled Sporting KC's lead in the 75th minute after he dribbled 45 yards and placed the ball past Real Esteli goalkeeper Justo Lorente. 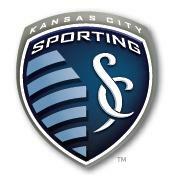 Sporting KC continued their strong international form with a 2-0 road win over Honduran club CD Olimpia on August 27. Soony Saad scored twice to become the second player in club history to score multiple goals in a competitive international match. Real Esteli comes into Sporting Park having won seven of their first eight league matches, however, the club has struggled in CCL competition. Real Esteli is winless in 18 CCL matches and has been held scoreless in five of their previous six including the loss to Sporting KC and a 1-0 loss against Olimpia on August 21. The CONCACAF Champions League consists of 24 teams separated into eight groups of three teams that play a round-robin, home-and-away format. The winner of each group will advance to the quarterfinals to be played March 2014. Sporting KC qualified for the tournament after winning the 2012 Lamar Hunt U.S. Open Cup. The 2013-14 tournament marks Sporting KC's first appearance in CONCACAF Champions League having previously competed in the CONCACAF Champions' Cup in 2002 and 2005. In 2002, Kansas City advanced to the semifinals of the Champions' Cup before falling to Mexican club Monarcas Morelia. For full coverage of the game, follow @SKCGameday on Twitter or visit www.SportingKC.com/GameOn. Sporting Kansas City returns to MLS action on Saturday at 3 p.m. CT against Toronto FC at BMO Field.